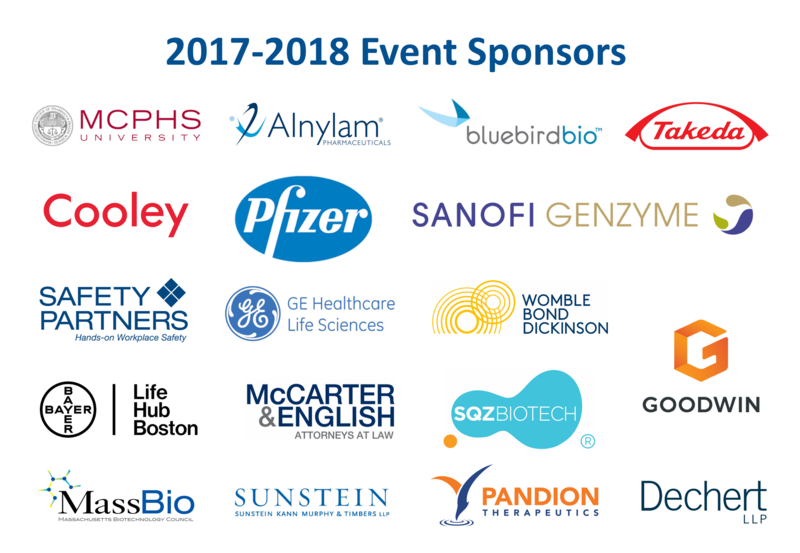 Biogen’s WIN (Women’s Innovation Network) is partnering with the Board of WEST (Women in the Enterprise of Science and Technology) to host and support our 8th Annual Giving Back Awards Ceremony. Meet the extraordinary and inspiring women being honored and hear the stories of how they have made a profound impact on society. The honorees are role models who balance job and personal responsibilities while making a difference in their community. Join us to congratulate them, be inspired, network, and support the career advancement of women in the enterprise of science and technology! Local companies in STEM nominated the women we will be celebrating this year. We received a large number of applications and will recognize many amazing women. We will also honor WEST volunteers and supporters whose dedication and outreach efforts have helped us reach our strategic goals. Appetizers, wine, and dessert will be served. Whether shopping for your family, friends, home, or office, there is something for everyone at this year's Raffle Fundraiser – a plethora of wonderful and interesting items and services for sale from generous donors around the region! 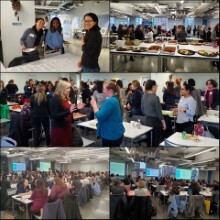 Proceeds will benefit our WEST mission, programs, and operations – to provide high quality and affordable educational content and development opportunities (workshops/events) for all women in STEM careers. For more details on the honorees and their volunteer contributions, please scroll down. We invite you to patronize those businesses who have so graciously donated to our event. Anne Cheung is a Senior Associate Scientist at Biogen, where she has worked for over 16 years in the Protein Biochemistry Research Department. She currently works on a project team developing a biologic to target Alzheimer’s disease. Anne received her Master of Science degree in Biochemistry at Worcester Polytechnic Institute, while serving as a Teaching Assistant, and a Bachelor of Science degree in Recombinant Gene Technology from the State University of New York at Fredonia. Anne is Co-Founder and President of A2Empowerment, an all-volunteer, nonprofit company that works mainly with Peace Corps Volunteers in Cameroon to award high school scholarships to young women who have dropped out of school or are at high risk of dropping out of school. The charity was founded in 2008, initially funding 17 scholarship recipients with a referral bonus Anne received from Biogen, and has grown to award more than 740 scholarships. In 2015, Anne was listed as one of Fortune Magazine’s Heroes of the 500 for her efforts. She has been a mentor through the Big Sister Association of Greater Boston for more than 15 years, and her Little Sister, Lois, is a recent college graduate. Anne resides in Arlington with her husband, Man Ching, and their sons, Simon and Calvin. Eileen Gradwell is a Senior Director in Global Clinical Operations at Biogen since May, 2012. She started her career as a registered nurse and entered the pharmaceutical industry in 1999 in the hopes of helping to bring much needed medicines to patients. She has a Bachelor’s degree in Nursing from Albright College and a Master’s in Health Service Administration from the University of St. Francis. Her service work has been a lifelong pursuit. She has served on the board of a local food bank, mentored youth, supported microloans for women in developing countries, led service activities at Biogen, like Care Deeply Day, Thanksgiving dinner drives, and adoption of families during the holidays. Eileen has three children, Ashley, age 25, Sean, age 24, and Lauren, age 23. After they had completed college, she turned her attention back to a lifelong dream of participating in medical missions. Trips to Haiti, Honduras, and Malawi brought a greater awareness of the significant medical challenges facing these underserved populations. Since 2014, Eileen has become more deeply involved in Villages in Partnership, a non-profit that works with local development experts in Malawi to implement programs designed to address the root causes of extreme poverty: lack of access to clean water, food insecurity, poor health care, inadequate education, insufficient infrastructure, and lack of economic opportunities. She is now on the Board of Trustees and a co-lead for the medical team, and has plans to return to Malawi on a regular basis. From co-founding a domestic violence awareness organization that in less than 3 years was awarded a grant by the U.S. Department of Justice to serving on the board of a non-profit that facilitates service learning for U.S. medical students in rural Morocco, Enith is driven by this principle: “giving is better than receiving.” She is a long-time supporter of women and minorities in STEM, a prolific writer, and a mentoring enthusiast of young professionals. A native of Venezuela, Enith came to the US at the age of 15 on a full scholarship to pursue engineering studies. Without quite knowing English or having family around, she relied on the support of many in the following two decades to overcome significant personal challenges. Turning to volunteerism for growth, Enith emerged a strong individual who is able to energize and lead others in support of worthy causes. Enith’s career trajectory was recently featured on iRelaunch. She is a versatile and multilingual Quality Assurance professional with 9+ years of experience in the FDA and DEA regulated pharmaceutical space. Her specialty revolves around cGMPs and supplier quality, with proven competency in hosting and performing quality audits, supporting drug product filings and commercialization, and building quality relations across any organization. She has a B.S. and M.S. in Electrical & Biomedical Engineering from WPI, and currently works as a QA Manager at Thermo Fisher Scientific and as a QA Consultant with Complya Consulting Group. Sherri Schwaninger is Head of Operations, Biologics, at Novartis Institutes for BioMedical Research, where she has worked for over 13 years. She is currently on a one-year sabbatical, serving as Program Manager in Lusaka, Zambia supporting a Novartis sponsored global health program aimed at controlling and eventually eliminating rheumatic heart disease (RHD) in that country. Working with local partners from the university, Sherri managed a clinical epidemiology study, screening 3,200 children for heart defects in 50 Lusaka schools. Sherri and the team also engaged in public awareness-raising efforts and training of healthcare workers. Throughout her career, Sherri has been committed to supporting women in their pursuit of independence and success. In 2009, she launched a gender-based employee resource group for women at Novartis. Under her leadership, this group has touched the lives of hundreds of women through mentoring and other efforts. Outside Novartis, she serves as Clerk on the Board of Directors of the Elizabeth Stone House, a domestic violence shelter and transitional housing facility in Roxbury and hikes with Wilderness Heals to raise funds for the shelter. Sherri has a B.A. in English from UMASS Boston and an MBA from Simmons College. Chris is currently the Chair, Board of Overseers at the Museum of Science where her community involvement is far beyond her Trustee role. She participated in the Boston Marathon Museum of Science Team raising money in support of the Traveling Programs and the ninth annual Washburn Challenge in support of the Annual Fund at the Museum of Science. This fall she was also excited to assist the Leukemia & Lymphoma Society (LLS) in their efforts to support the research of blood cancer treatments by supporting the Blueprint Medicines team in the Light The Night Walk event. Chris is also a speaker at conferences where discussions revolved around breaking through the glass ceiling. Dawn received her Ph.D. in organic chemistry from MIT in 1999 and is now a Project Director at AbbVie Bioresearch Center in Worcester, MA. Dawn volunteers with Girls Inc, where she has served as a “coach” at the Leadership Academy, helping disadvantaged high school girls prepare for success in life by improving presentation skills, decision making, leadership capabilities, and learning how to interview effectively. Dawn has represented chemistry at a Girls Inc career fair, and advocates for Girls Inc as a worthy cause for the annual AbbVie Giving Campaign. Dawn is also a founding member of the Pasture Prime Players, a non-profit performing arts group, where she serves on the Board, assists with productions, and directs the Pasture Prime Chorale. Jeri’Ann Hiller, Ph.D.is a leader in science who is passionate about innovation and mentoring. At Boston Scientific, she has created a legacy of innovation to help people get well. She was recently recognized for outstanding STEM achievements with a Women of Color Magazine Rising Star award. She led the launch of a multi-model mentoring program that includes both in-person mentoring and e-mentoring with MassBay Community College. She recently spoke at the MA Conference for Women sharing insight on developing a leadership brand. Hiller earned her B.S. and Ph.D. from the Massachusetts Institute of Technology in materials science and engineering. Diana Martin is Vice President and Global Head of Corporate Communications at PAREXEL where she is responsible for internal and external communications. She is a founding member and ongoing contributor to the first-ever Brown University Latino Endowed Scholarship, one of six endowed scholarships at Brown University - her alma-mater - designed to help maximize the Brown experience for Diversity students. She is also a member of Brown’s Women’s Launch Pad, a formal mentoring program focused on female students in their senior year. Through this program, she has mentored Latinas who are the first in their family to attend college and has helped them prepare for life after they earn their degree. Diana also serves on PAREXEL’s first-ever Diversity and Inclusion Council and the Gender Partnership Committee (GPSC). For 20 years, Krista has coordinated and managed a site wide program to give back to the Worcester Community. Krista has worked diligently year after year to help provide basic items most of us take for granted to those less fortunate. Krista has focused on three non-profit organizations within the Worcester community, the Homeless Veteran Shelter, Friendly House, and monthly dinners at the Mustard Seed Soup Kitchen. In the earlier years, she has also organized AbbVie staff for yearly events at the Lincoln Street School, the Salvation Army and Sherry’s House in Worcester. Meghan serves as a member of United Way's Community Impact Committee, a collection of business and nonprofit leaders that advise the organization on its community investments. She is also involved with HubSpot's BUILD community initiative, and advised City Awake, Boston's Social Impact Festival. In her spare time Meghan is an Adjust Professor at Boston University, and an advisor to tech startups EverTrue and HelpScout. Dr. Butts is Associate Director of Program Leadership at Biogen, working with multi-disciplinary teams to make critical decisions and mitigate risk. She is very passionate about ensuring the scientific community appreciates contributions of individuals from all backgrounds. She does so by working with organizations to foster development of under-represented scientists, including serving as: career coach with Posse Foundation; mentor with Biomedical Science Careers Program; member of Keystone Symposia Diversity Advisory Council; member of Society of Leukocyte Biology Women & Diversity Committee; The Endocrine Society workshop faculty; American Association of Immunologists Minority Affairs Committee chair; and speaker at different organizations (e.g., Cornell, Dana-Farber, HMS). Caren has been involved in the Pan Mass Challenge for over 24 years as a volunteer, rider, fundraiser, and for the past 5 years as a member of the Board of Directors. The PMC is a Massachusetts-based bike-a-thon that has raised over $500 Million dollars over 30 years to fund research and development at the Dana Farber Cancer Institute. In 2015, she led a team of volunteers to organize a PMC Kids’ Ride, which introduces philanthropy to children so that they can learn the importance of helping others and giving back while having fun. Ms. Jack is the Chief Business Officer of Mersana Therapeutics where she has responsibility for the business operations of the company. She is a volunteer puppy raiser for Canine Companions for Independence®, a non-profit organization that enhances the lives of people with disabilities by providing highly trained assistance dogs. In addition, she is a member of the Life Sciences Council for Springboard Enterprises which is an expert network of innovators, investors and influencers who are dedicated to building high-growth life science and technology-oriented companies led by women. She received a B.A. from the University of Virginia and a master’s in health sciences from The Johns Hopkins University. Terry has been working in the pharma/biotech industry for 24 years primarily in immunology and pharmacology. She is an active member in the New Hampshire Army National Guard where she is serving as a trumpet player. "Army Bands provide music throughout the spectrum of military operations to instill in our soldiers the will to fight and win, foster the support of our citizens, and promote our national interests at home and abroad." She loves performing, seeing the happy faces in the audiences, and working closely with her fellow soldiers to educate and entertain in the public and military settings. Jaclyn first discovered WEST through the Stay in MA program, sponsored by Flybridge Capital. They granted her a scholarship to attend her first WEST event, and it left a huge impact on her. She attended "Career Possibilities: Speed Networking Night" and learned about careers outside of academia that interested her, but more importantly, she began to understand the paths that people had taken to successfully transition from the bench to a business setting. After attending several WEST events, she chose to volunteer because she thought that the events were worthwhile and she wanted to support the organization. Jaclyn is a PhD candidate in the neuroscience department at Tufts University and her scientific interest is in glial cells. In addition to her graduate studies, she led the Tufts Biomedical Business Club. Elissa received a BS in chemistry from the University of Wisconsin - Madison and then earned her Ph.D in chemistry from Yale University. She completed postdoctoral work at Harvard Medical School and then took a position at Moderna Therapeutics. In her free time she likes to run, swim and travel. During her postdoc, Elissa started attending WEST events to help her explore diverse career opportunities. The events she attended were instrumental in helping her realize her strengths and desires. She found the WEST environment to be very welcoming and values the relationships she has made with several fellow members. She now volunteers for WEST's programming and events committee. Cynthia Pussinen is a life sciences senior executive, C-Suite leader with a broad base of experience in all phases of product development in the pharmaceutical and biotech industries. Cynthia is currently engaged in various consulting engagements and her prior professional experience includes Ipsen Biosciences, a wholly owned subsidiary of Ipsen, where she was the president and general manager and the US head of technical operations and R&D as well as Pfizer, where she held various roles. Cynthia became involved with WEST because she was interested in connecting with women in the field of science and enjoyed the variety of seminars offered through WEST.